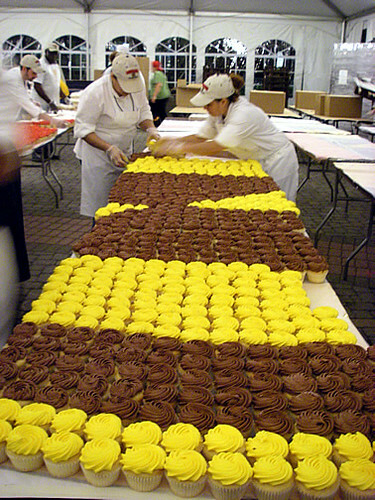 The Cupcake Queen over at 52 Cupcakes has the inside scoop on the 50,000 cupcakes being served today for Maryland Day, the University of Maryland's annual open house. She also posted this video below, photos via 52 Cupcakes on Flickr (click through for her entire Maryland Day cupcake photo set). 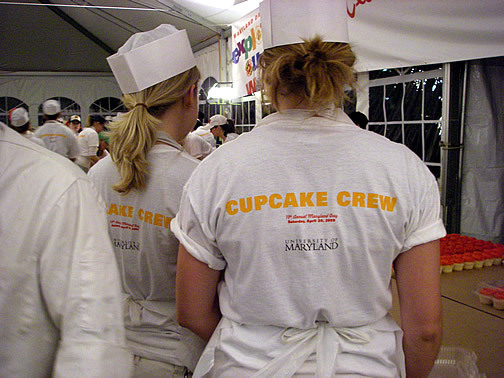 Apparently it was such a big job that there were t-shirts made up! 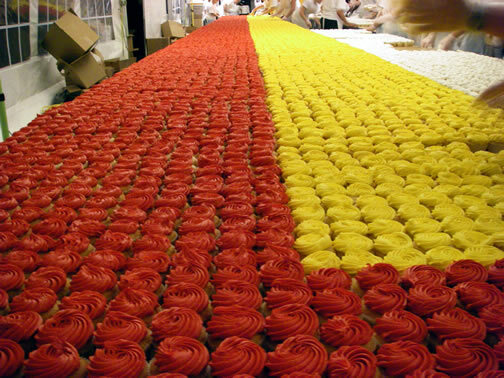 I'm sure everyone who is a part of this amazing cupcake feat is feeling very proud right now. Stay tuned to 52 Cupcakes for her full report. That is so awesome! I wish my alma mater would do something like that. I agree, I wish I could have been there!